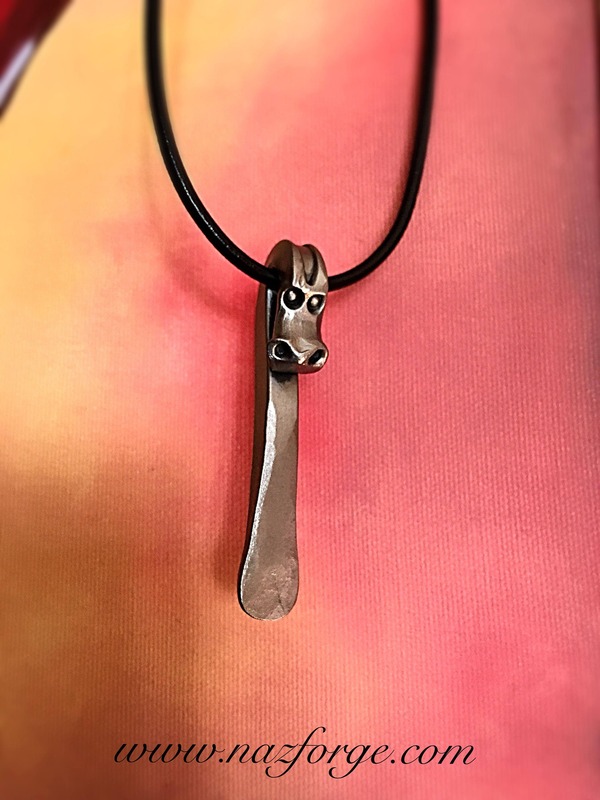 The dragon pendant is forged hot out of 1/4" solid square iron with the hammer and anvil using hand held punches for the eyes, ears/horns, nostrils and mouth. The head is then hammered onto the body forming a loop for the necklace to pass through. Last hammer blow on the dragon drives my signature logo stamp "Naz" into the metal. After cleaning, I clear coat the pendant for protection and to keep the raw iron look. 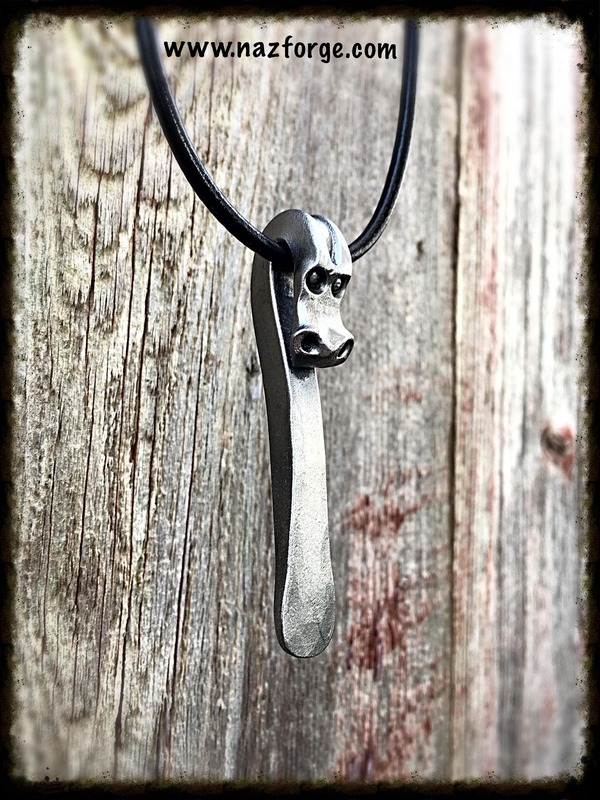 For the necklace, I use a leather string and a large iron lobster claw clasp makes the attachment in the back. 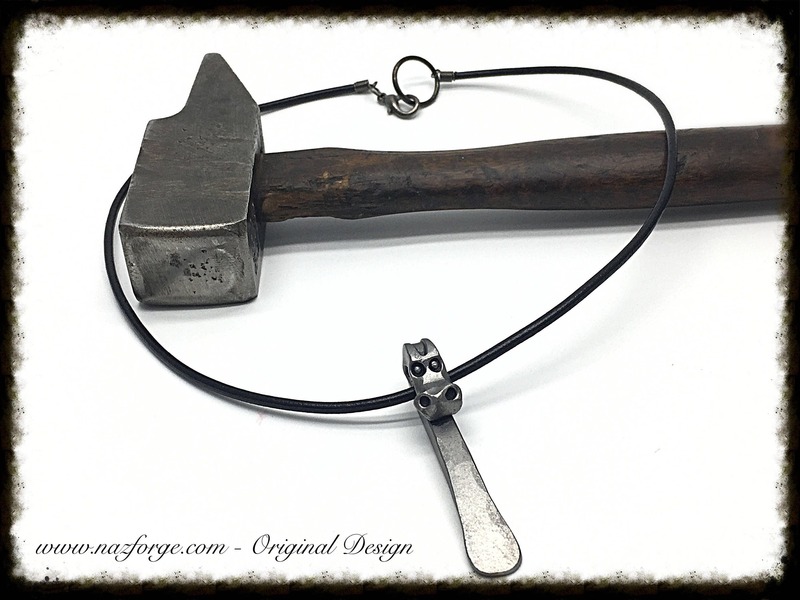 Pendant measures approximately 2 1/2" high and the necklace (leather lace) measures 22"... 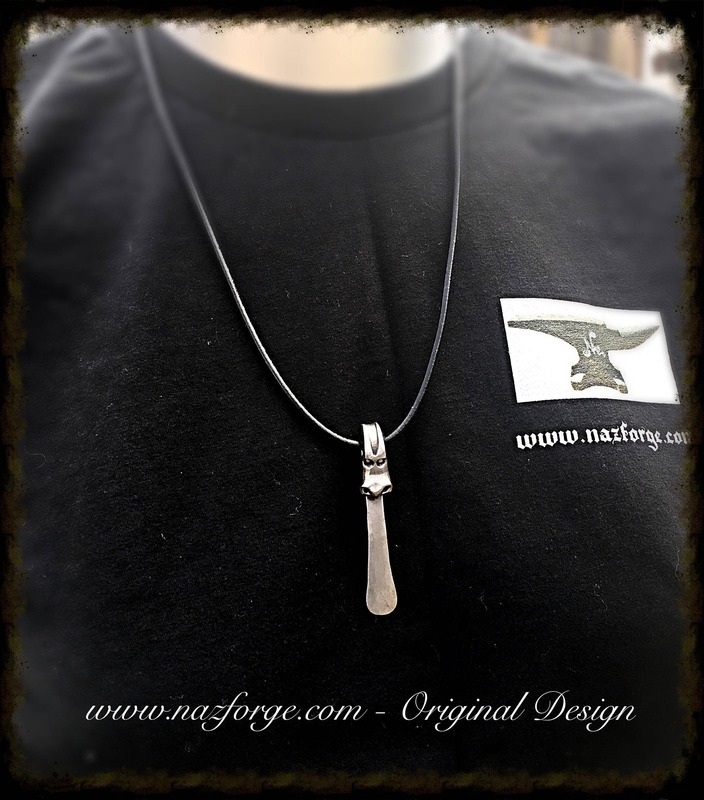 If you would like the necklace to be a different lenght, please specify your desired lenght at the "note to seller" section during checkout. Please keep in mind each one is hand made one at a time, slight differences may vary from one another. If you like the one you see in the above photos, rest assured that the one you will receive will be true to the one shown here as nothing leaves my shop unless i'm 100% satisfied with the finished product. 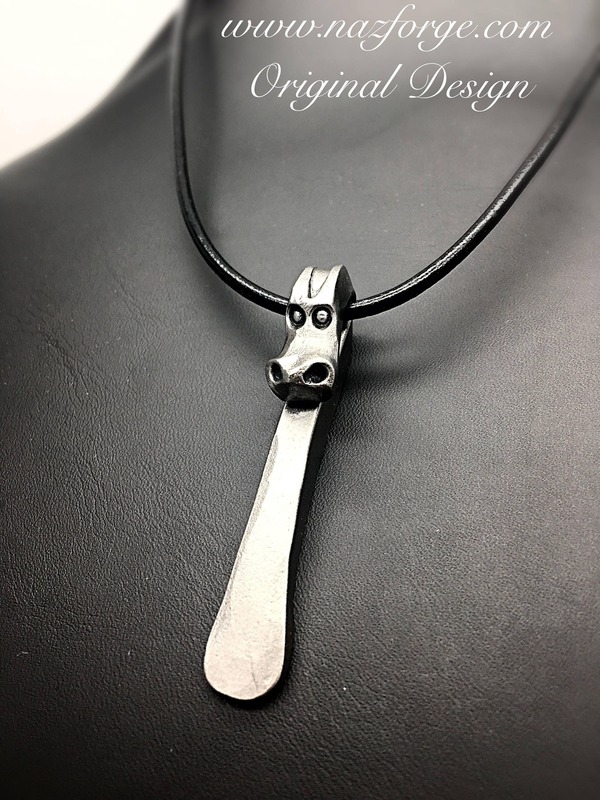 This hand forged dragon pendant & necklace could also be classified as art or sculpture.